You'll be £20.00 closer to your next £10.00 credit when you purchase The Anglo-Boer War in 100 Objects. What's this? 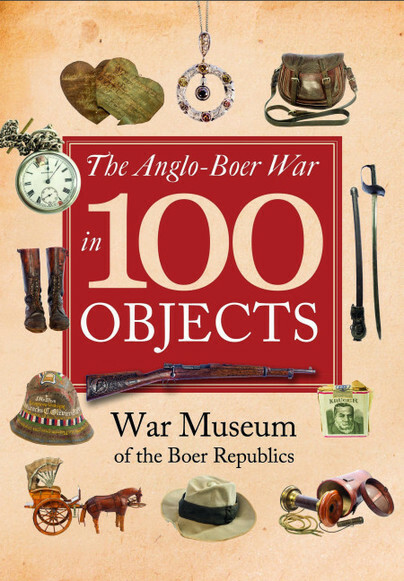 The Anglo-Boer War in 100 Objects brings the victories and the tragedies – and the full extent of the human drama behind this war – to life through 100 iconic artefacts. The book, published by Frontline Books and based on the archive of the War Museum of the Boere Republics is a concentration of information and history, which brilliantly describes all the characters, places, stories of a war so far away but also so close to us . Recommended. New Masterpiece for our library. The WAR MUSEUM OF THE BOER REPUBLICS in Bloemfontein is dedicated to the Anglo-Boer War or South African War, the biggest ever conflict on South African soil. The museum aims to provide an understanding of the background against which the war took place through its unique collection of artefacts, photos, weaponry and art.\r\n\r\nJOHAN VAN ZŸL is a historian and the manager of specialist services at the War Museum. He has co-written numerous in-house and trade publications.